Deliver your message to the right people with presentations, e-newsletters, blog posts, website updates and social media. Custom collateral, smart marketing angles and outside the box thinking ensure you stand out from the crowd. Business relationships work best when everyone “wins”. Benefit from easy access to Authentic’s 24/7 press centre stocked with your info; rates, key property facts, high-res captioned searchable imagery, video and contact details. Ensure the right partners in the trade find you easily. Save them time and effort closing sales or media opportunities. Timely stories is what the media love. With new angles and an eye for hot topics and trends, our marketing plans will grab you media, industry and consumer attention. Discuss and agree your annual UK marketing plan. 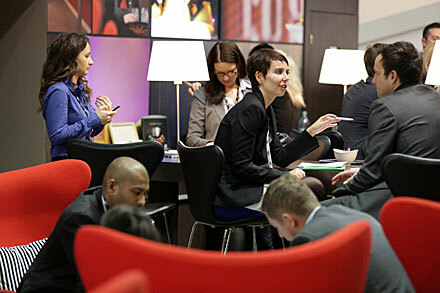 Scope opportunities at both trade and consumer travel shows. Identify appropriate niche interest groups and associations. Find strategic partners to deliver on co-operative marketing campaigns. All inform a targeted marketing strategy tailored to your business and budget. But let’s be honest it’s not always plain sailing. Sometimes a lack of marketing support at regional level leaves you off the consumer radar. Spotting such problems and working with you to overcome challenges is all part of the service. Marketing is included with representation and public relations on all traditional pricing plans.